Nintendo is making it a bit easier to exchange StreetPass information with others by turning its SpotPass service into a StreetPass relay hub. StreetPass, more than any other feature of Nintendo's 3DS handheld, was pretty obviously designed with Japanese gamers in mind. The feature allows your gaming device to share information with other handhelds while in sleep mode. For example, if you play Animal Crossing: New Leaf you can exchange replicas of your in-game home with other players simply by having your 3DS' in relatively close contact. This scheme works great in Japan where the population density makes it nearly impossible to avoid people toting Nintendo's handheld, but in America and Europe, where populations are more spread out, it's a curious novelty at best. Nintendo wants to change this state of affairs however, and to do so the company is altering the functionality of SpotPass (a scheme similar to StreetPass, only it requires players to bring their 3DS to a specific location, such as a Best Buy store). The idea is simple: Players will visit a SpotPass location, the location will download their StreetPass information, and then it will be parceled out to any future players who might encounter that same SpotPass. How much StreetPass information these SpotPass locations can store is unknown, nor has Nintendo revealed exactly how this relay will work. 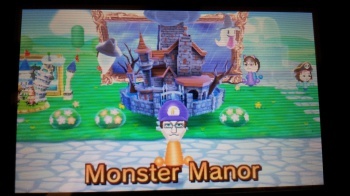 Will all extant StreetPass information be passed on to each new player to visit the thing? That seems like an appealing idea until you realize that these SpotPass kiosks would be filled to capacity with StreetPass info almost immediately, and any players who visit them after that point would have their 3DS' memory likewise filled with StreetPass tags. Almost every game that uses StreetPass functionality has a cap on how many things/other people you can encounter, so there's effectively no difference between picking up 100 tags and 1,000 all at once. Nintendo has yet to specify a release date for this new functionality, but claims it will be available in "a few weeks." Expect more information as soon as Nintendo offers up useful technical details about this new service.